games but this is my first outline font. be bitmap based, but with nice smooth font. call the font 'Self-ref' based on purpose for creating it. tried increasing contrast and kept it that way. circular pen. Serifs. Contrast should not be extreme. 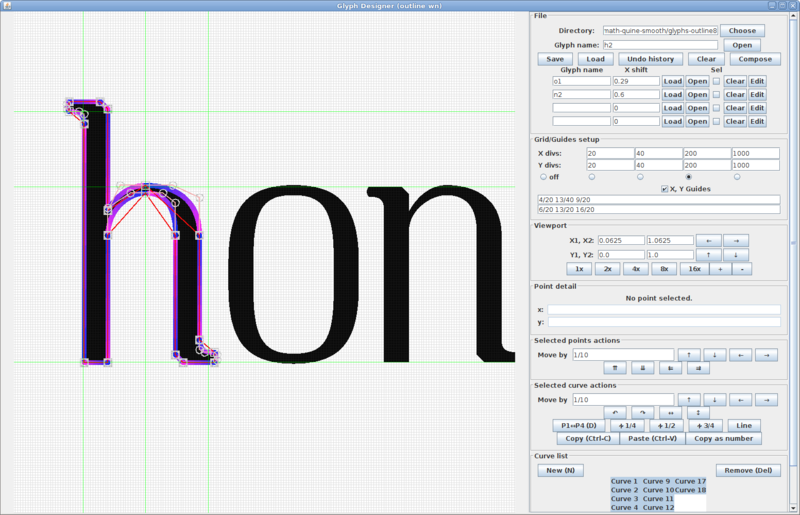 I correct it manually after kerning). kerning algorithm for symbols before that. bitmap. There is no hinting so low resolution look is not great. I feel like there should be more of a difference between the terminals such as on the y and some of the heavier vertical serifs such as on the capital EFLTZ. The terminals in some places serve to add presence where needed. But on the EFLTZ, they make the horizontal serifs seem too light. I like the diagonal chunk (chamfer?) action on the curves but it's too subtle to be seen except at very large sizes. They need to be exaggerated because at lower resolutions/smaller sizes, they'll merely read as noisy curves. If you look at the chunk on the top curve on the capital S, the way the curve hits the chunk is too subtle. It kind of half blends into it. The curve needs to bang into that chunk hard so it leaves a sharp corner. We are chunks and we want you to know it! You can cut the chunks deeper so what's left is something that as thin if not thinner than the thinnest part of your h.
The lowercase v has a hearty chunk carved out of it while the lowercase u has a meek chip. Make all the chunks equally noticeable. I think it's fine that the chunk rule is used here and there. For example, there are S chunks but no O chunks. I like that you didn't over-apply the rule. The thing you're trying to do on bottom right of the a, and other similar letters is too weak. It's like a vestigial tail that doesn't seem to fit with anything else in the typeface. Same with the tail on the inside of the Q. The left side of the b doesn't follow the rule you've established with the rest of the lowercase: no left facing serifs on the bottom. Also: compare how uh and ub fit together. Capital B feels out of place. You've got a low waistline on the EFHR and high on the B with a little bowl on top. thank you. A "How to create typefaces" looks like good book. I have looked at books locally, but I did not find anything useful beyond few books that focused more on lettering rather than typography. 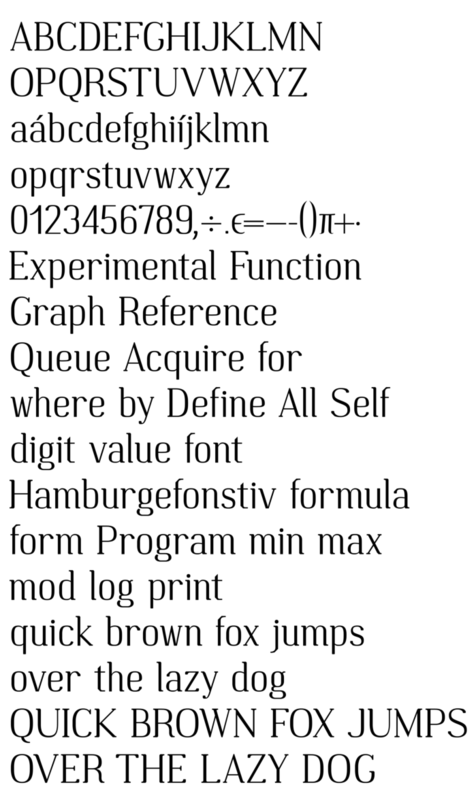 I have read a lot of online texts, including parts of the DesignWithFontforge.com. I watched a lot of episodes of Fontribute by Thomas Jockin on Youtube. But there is always more to read and see. thank you very much on specific feedback. I will have to try how your suggestions work for me. I will report back in a week or so. I agree with the comments above. 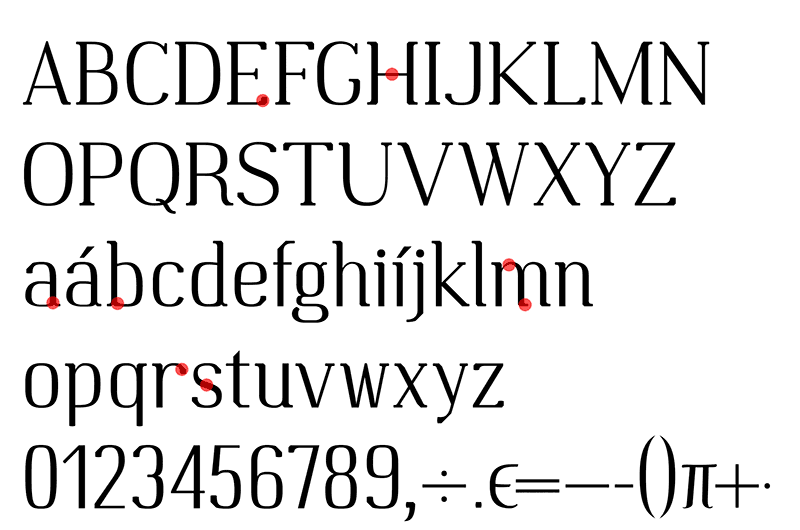 "How to create Typefaces is a good place to start". I'd also take a look at https://youtu.be/LR-CG5eB3nQ by Thomas Phinney. He has some other good videos on YouTube well worth a look. The way the bowl strokes intersect with the verticals on /a /b and /d are too heavy, it should taper much like you've tapered the /m. The shoulder on the /r is too wide. I hope this is a help. Keep at it! Thank you all for feedback. I have made some changes the to font, mostly based on feedback. /a and /d have larger bottom serif and more similar to others. Thanks for advice here - I was looking at them for too long (they were among earliest letter I draw) so I accepted the original look without questioning. I like the new look much better. /b no longer has bottom serif. I have experimented with several variants and this was look best to me. /g has slightly fatter ear. /b /d /p /q now have more unified bowls. I liked some aspects of the old look, but new one is more consistent. /r has slightly shorter shoulder. I feel like making it even more shorter would require different approach. 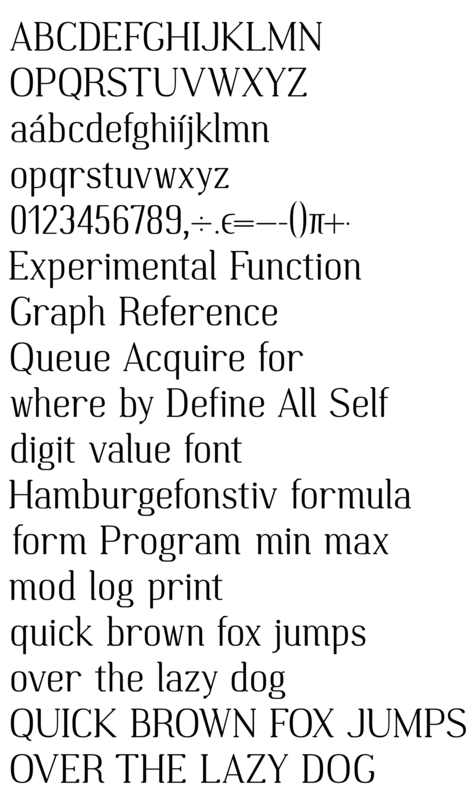 I see most fonts have very short shoulder compared to this one though. /s has spine slightly higher. /v /w /x now have smaller diagonal chamfer to fit more in others. /y has new tail more consistent with other glyphs and it is slightly wider. /E and /H but not /F have waistline higher. /Q has a new tail. /S has just slightly more prominent chunk at the top. I have made digits wider. /1 now has curved arm (I'm not sure what is proper terminology for this), but I have not decided whether to use curved or go back to straight. I have adjusted waistline of digits /6 /3 /9. I have made dots in math symbols bigger and changed comma. I tried to resolve difference between fat horizontal-to-vertical serifs and thin vertical-to-horizontal serifs (in both upper and lower case) in a experiment where I made thin ones 50% fatter, but I did not liked the end result. I tried to make fat ones thinner, but I did not liked the end result either. I don't see a way how to approach this without making font very different. I will try more exaggerated chunks next, but I don't mind them being less noticeable at lower resolutions/smaller sizes. Intended output is digital and zoomable without ability to adapt for actual zoom unlike regular fonts. I'm ok with glyphs looking more normal when small but somewhat more eccentric when enlarged. I like it. I think the lowercase qu combination produces too much of a gap. Similar to the way ub fit together in the old version. Maybe try going a little higher with the lowercase accents and ij dots. Mathematical symbols: type 1+2+3+4 etc. Move + vertically until it doesn't look too low. Adjust the rest of the mathematical symbols to the same height. They're usually seen with numerals so they don't need to match the hyphens. I think you need more overshoot, at least on the caps (but probably the lowercase as well). In terms of typography it is quite imperfect, but I prefer some imperfection over not completing it. Thank you for typography advice.